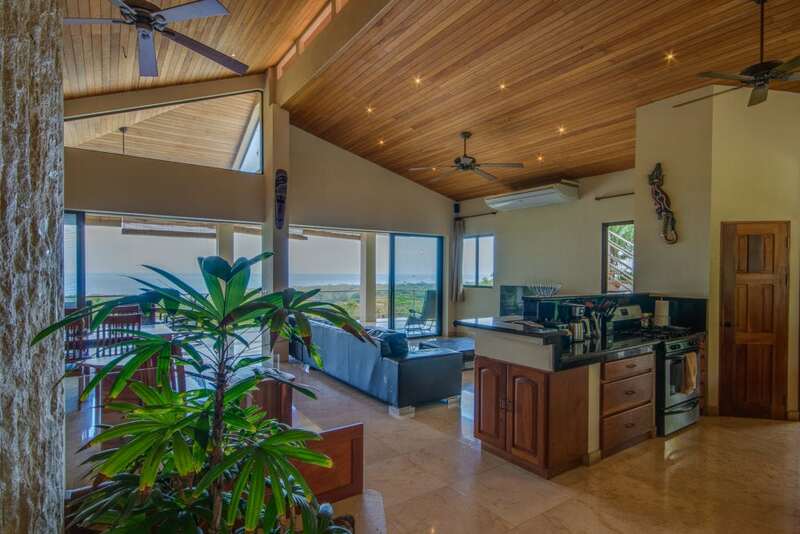 A spectacular Pacific View Home with year around ocean breezes. 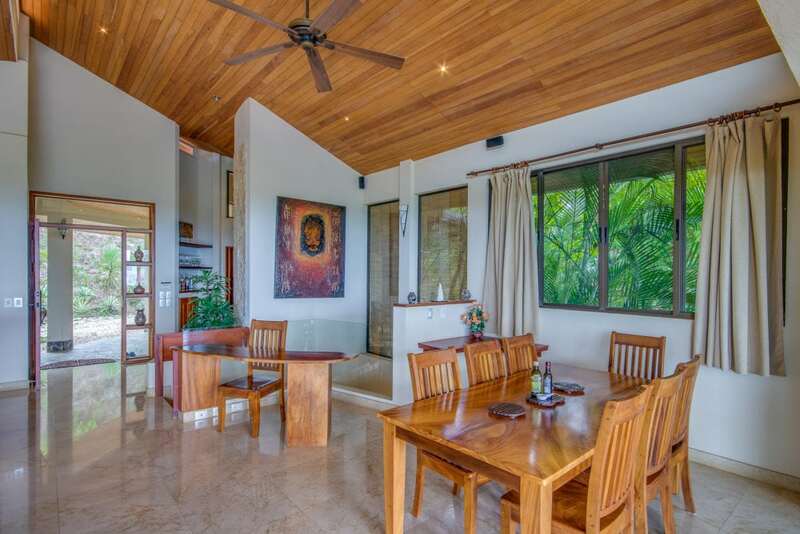 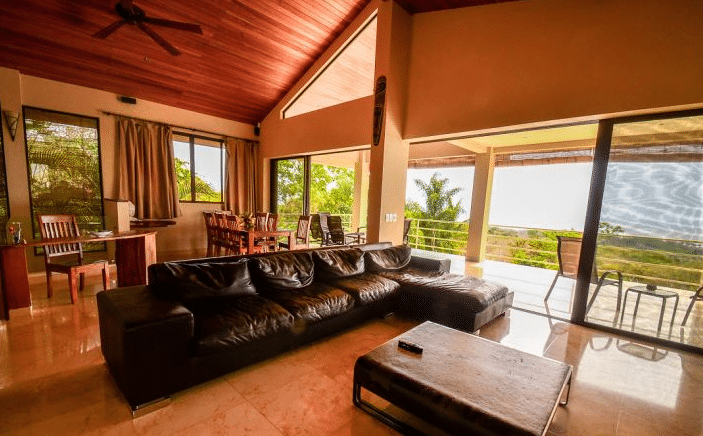 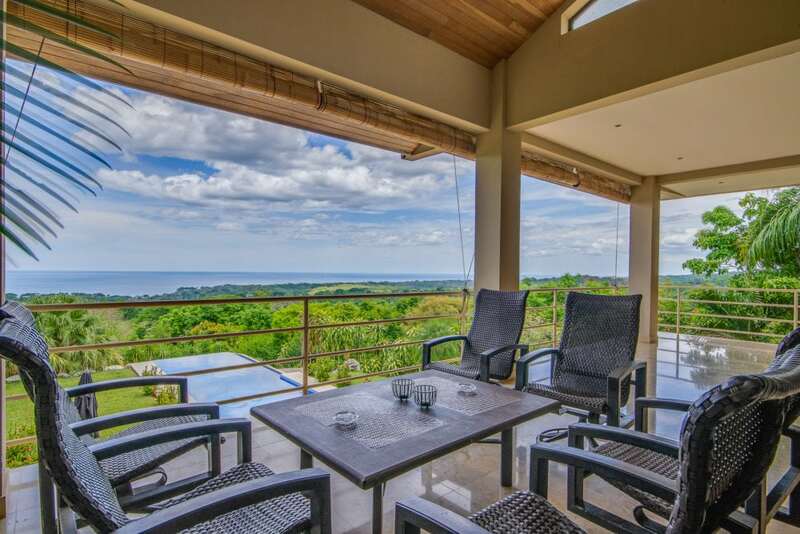 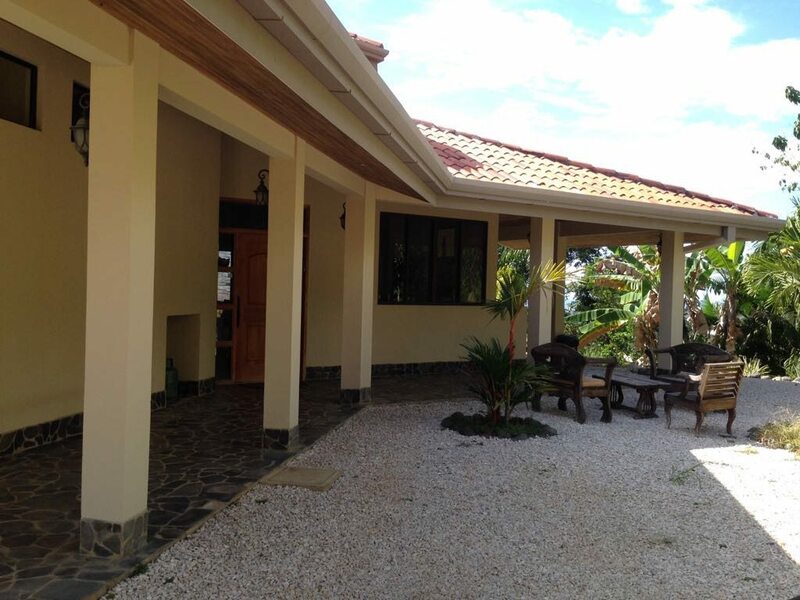 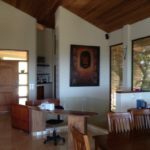 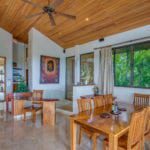 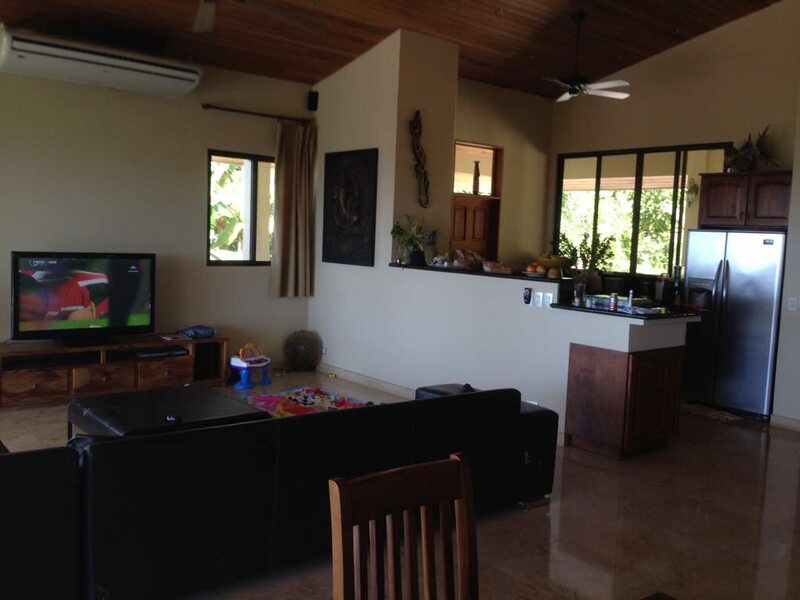 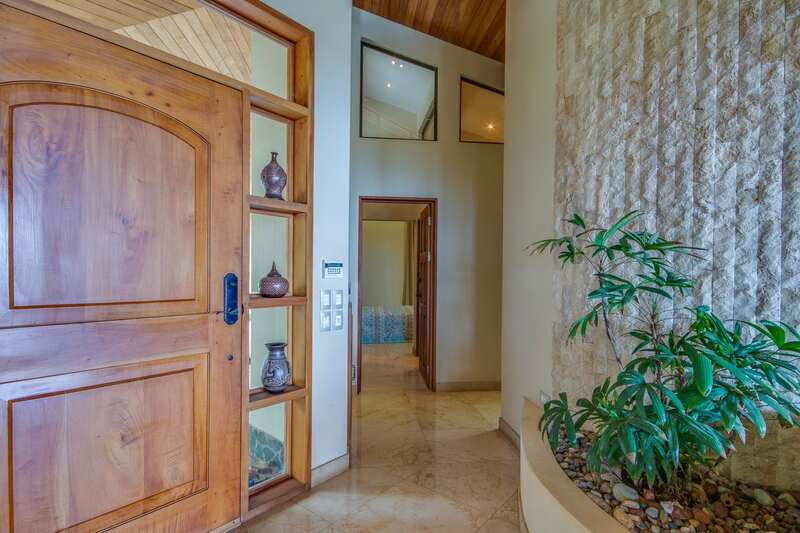 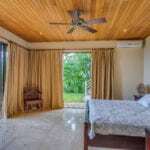 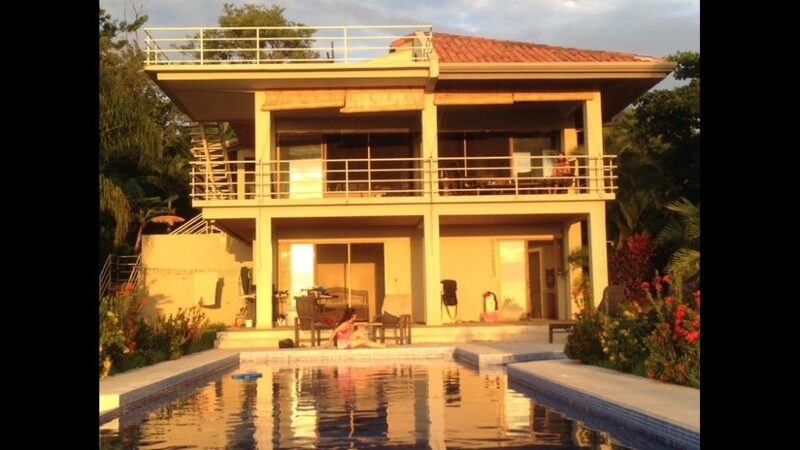 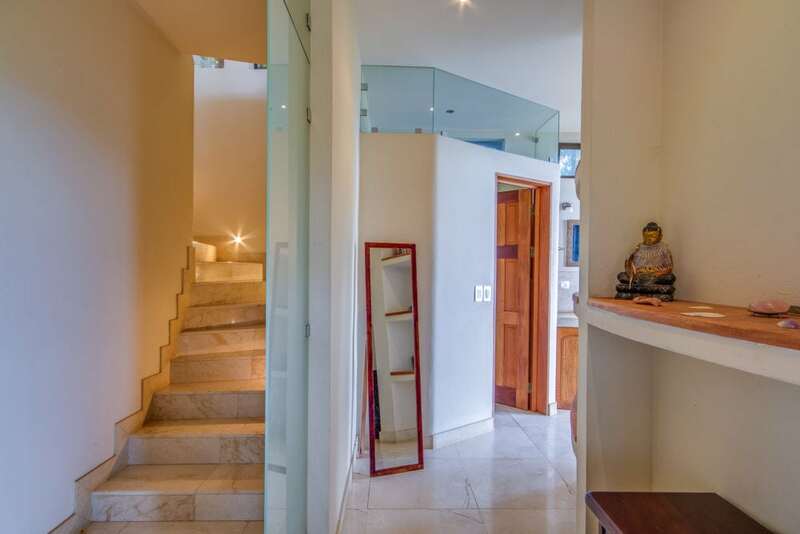 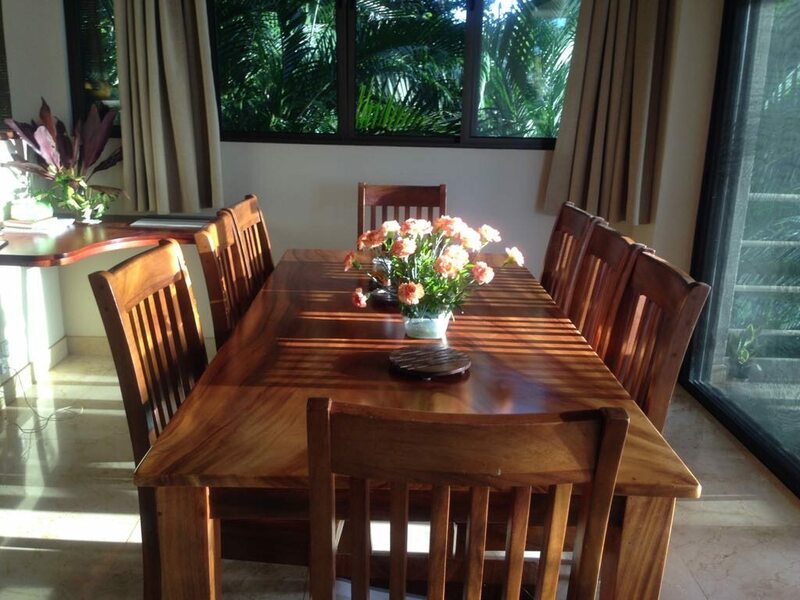 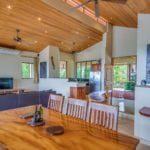 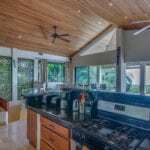 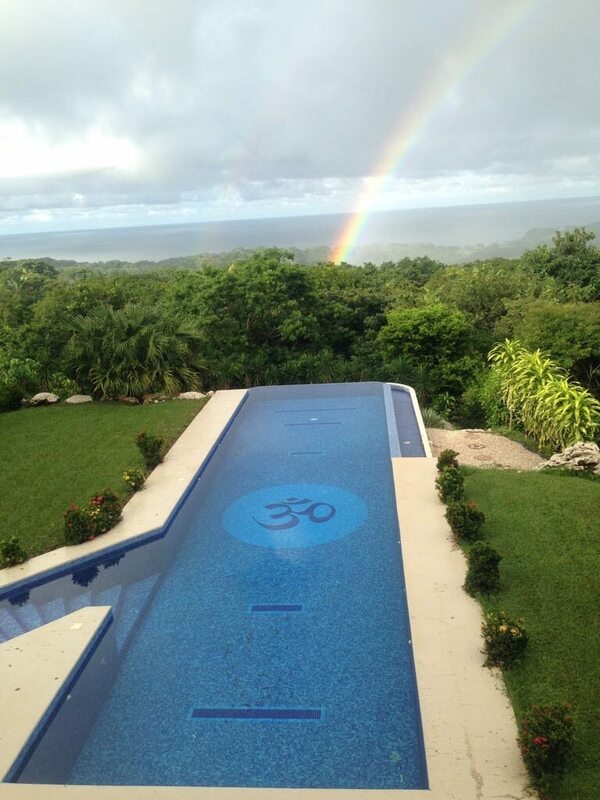 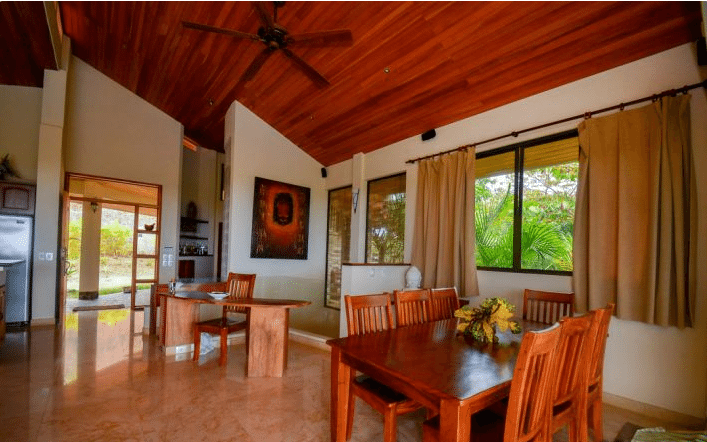 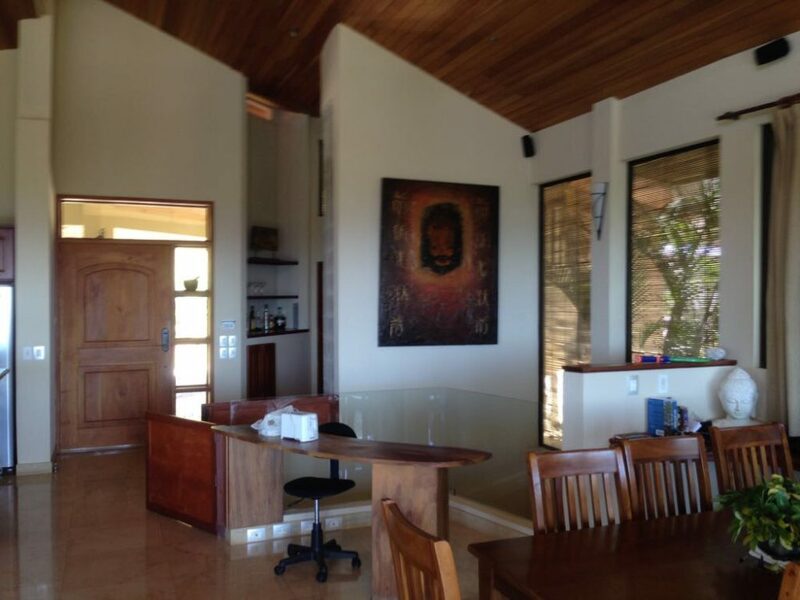 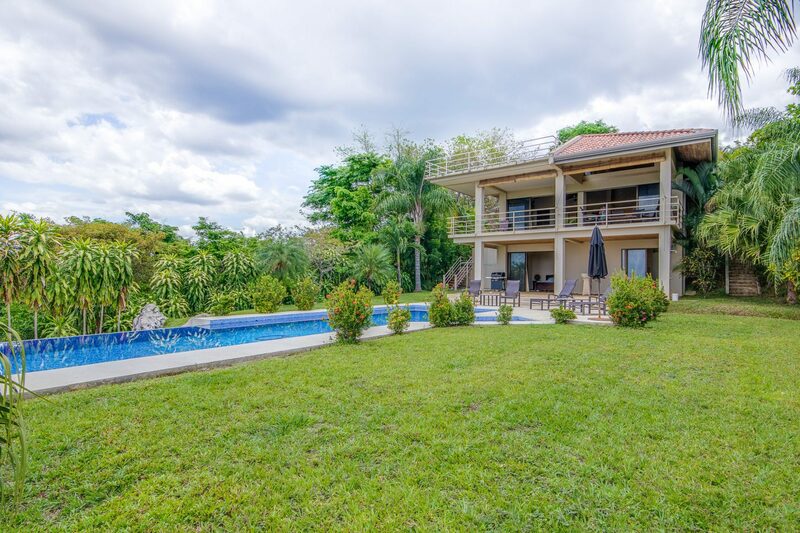 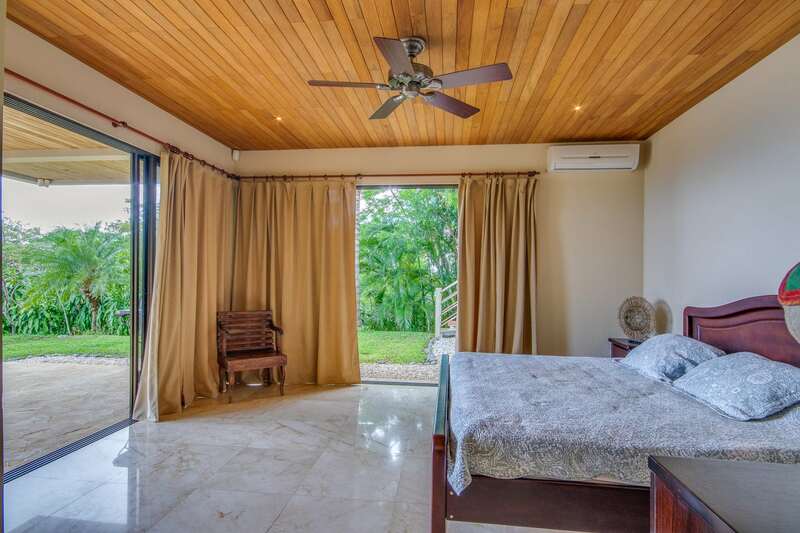 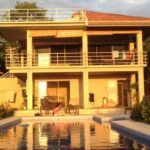 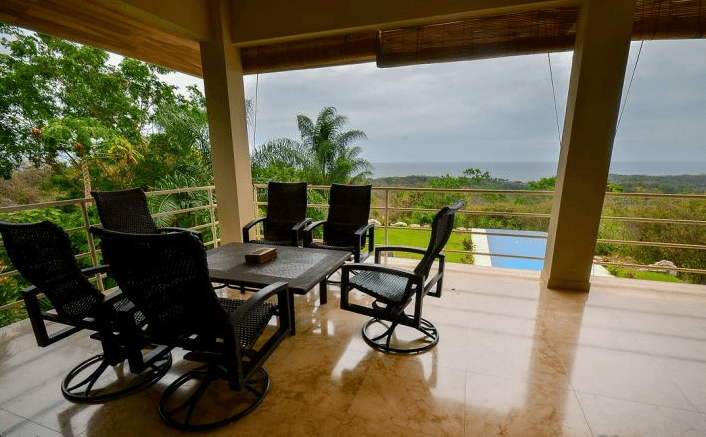 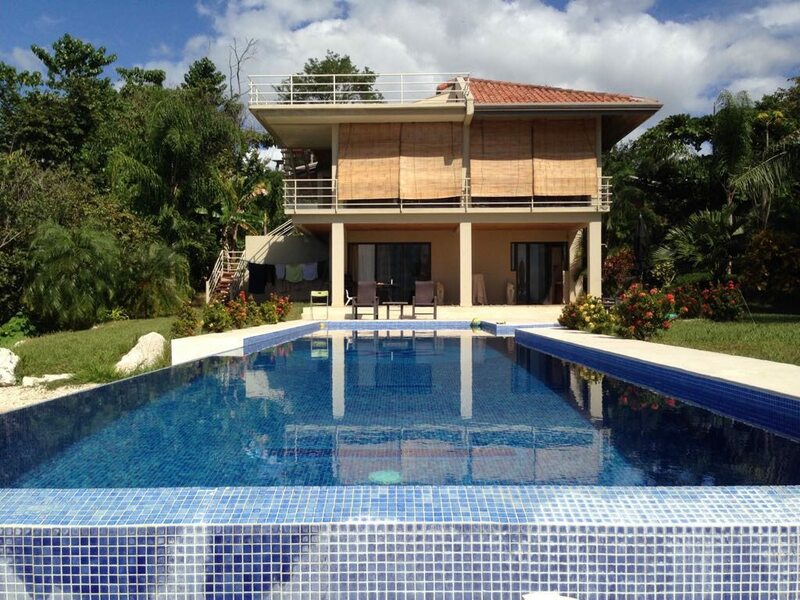 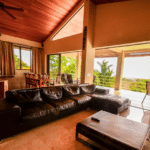 Situated above the jungle canopy this custom two-story home overlooks the beautiful San Juanillo and Ostional area. 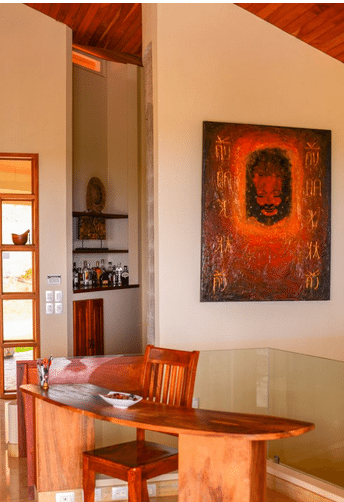 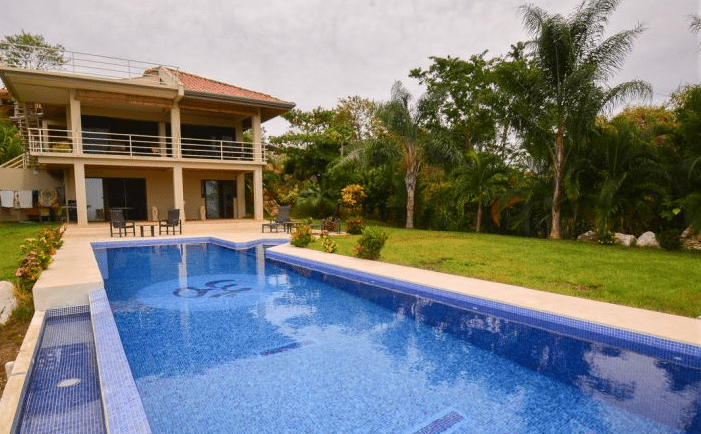 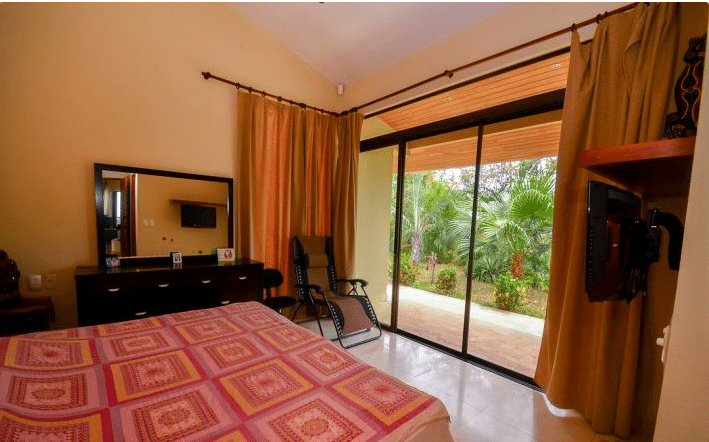 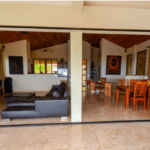 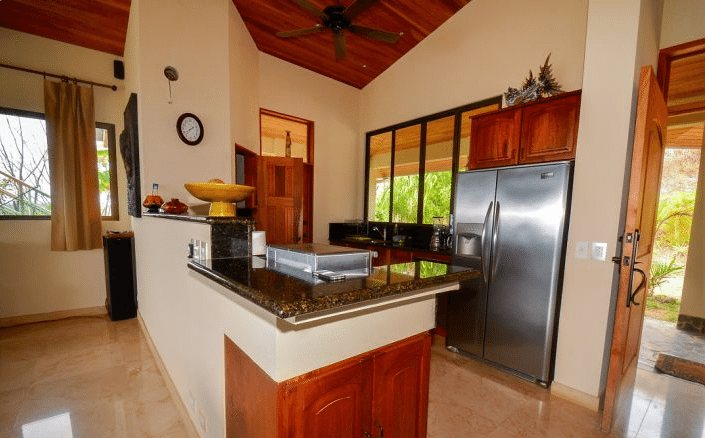 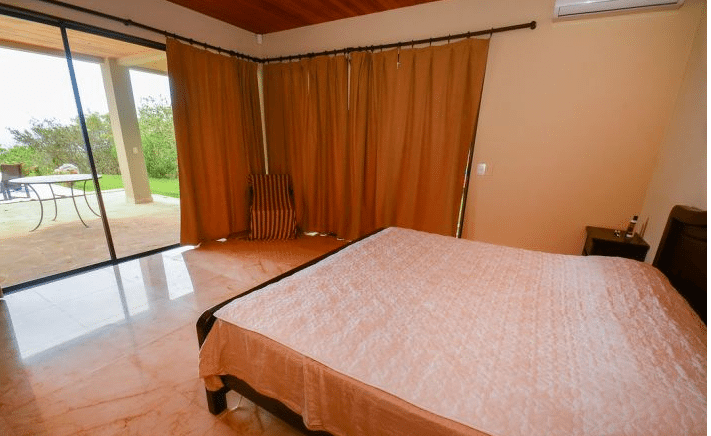 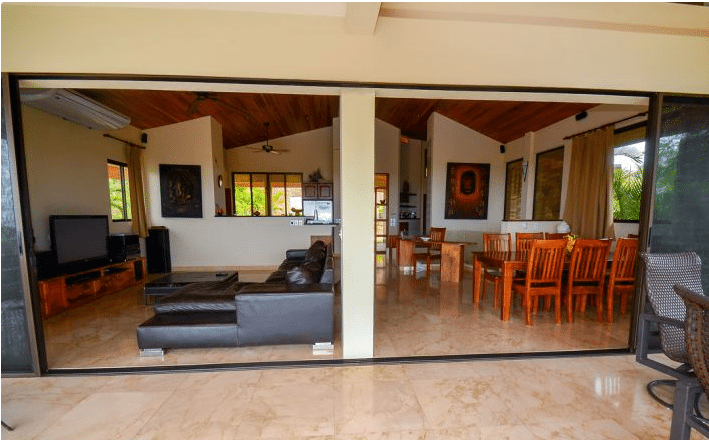 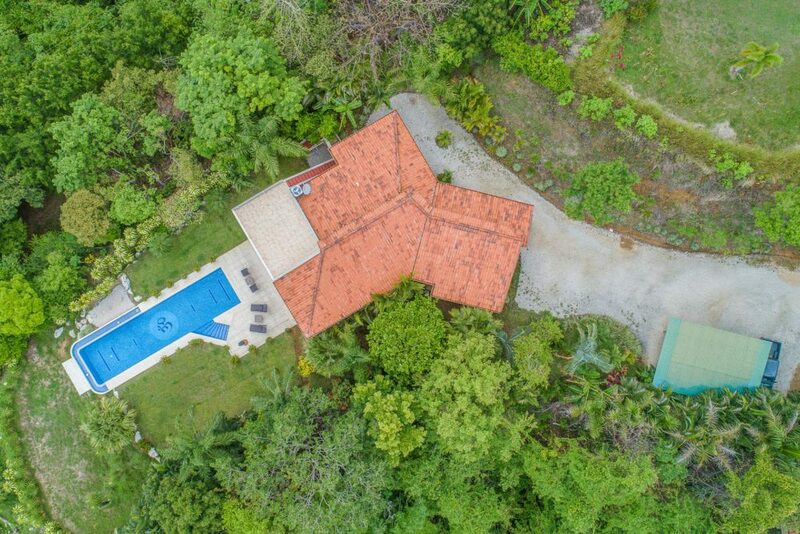 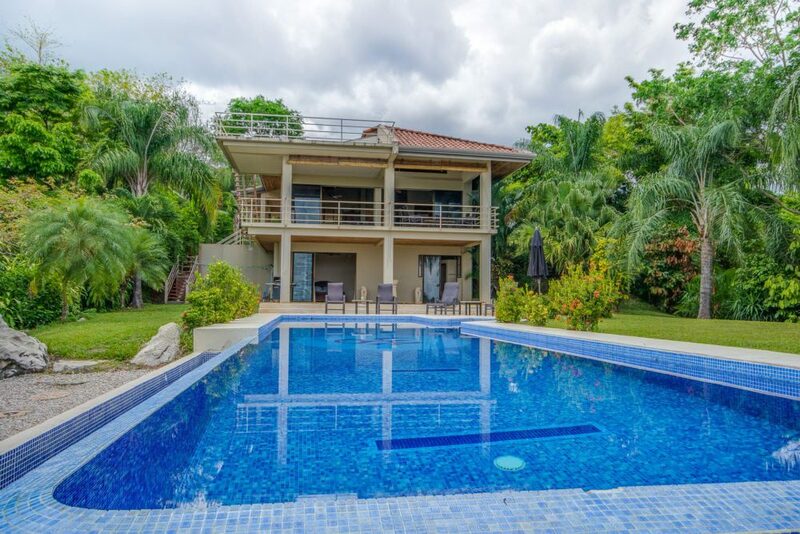 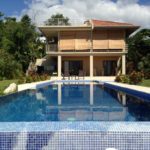 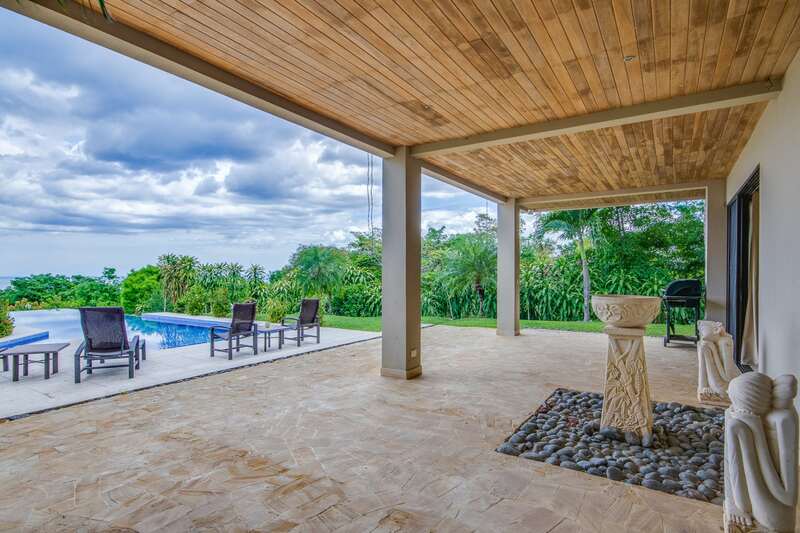 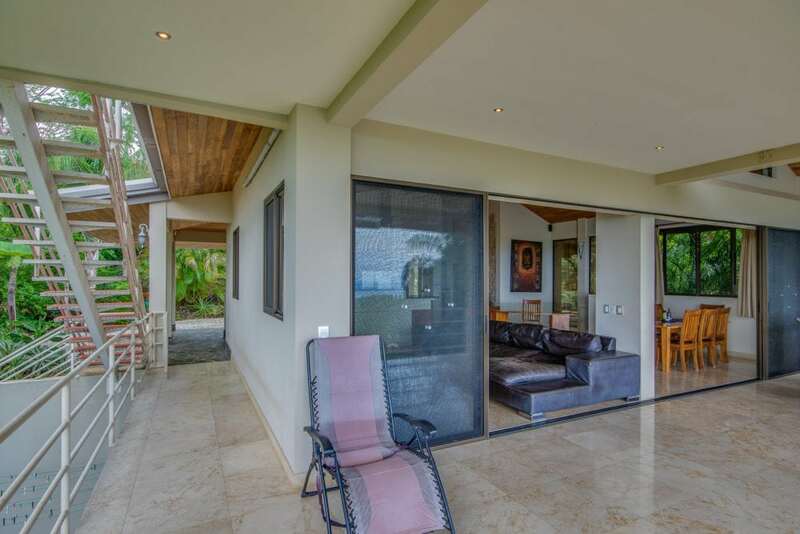 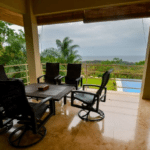 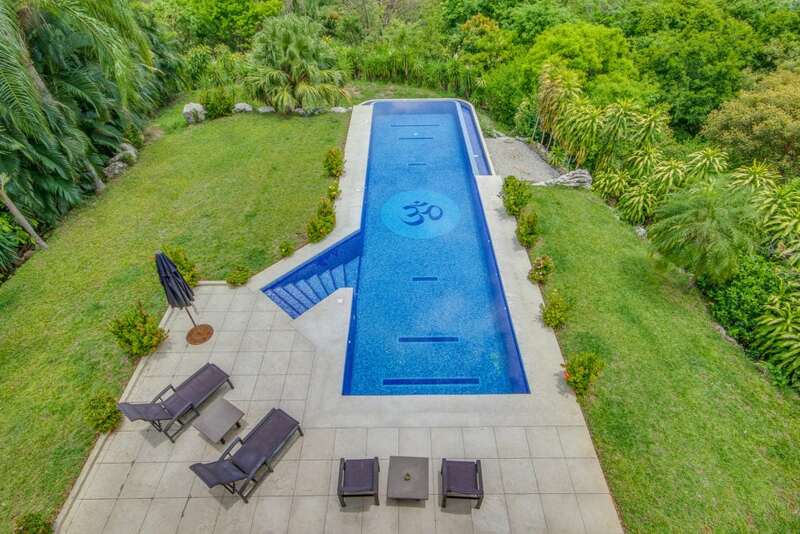 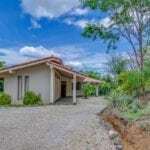 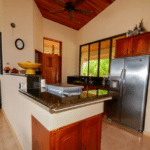 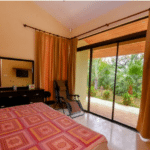 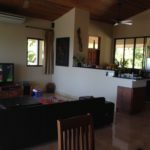 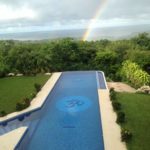 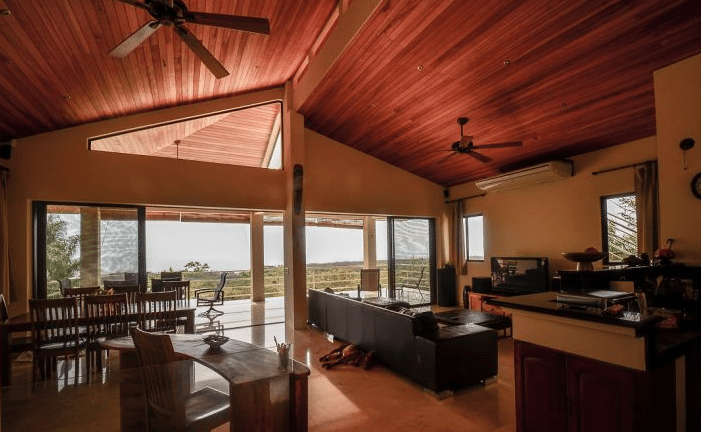 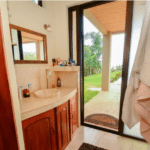 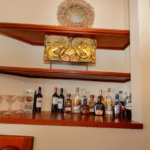 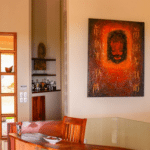 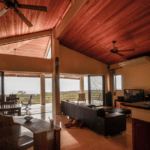 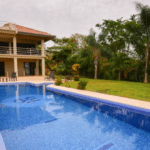 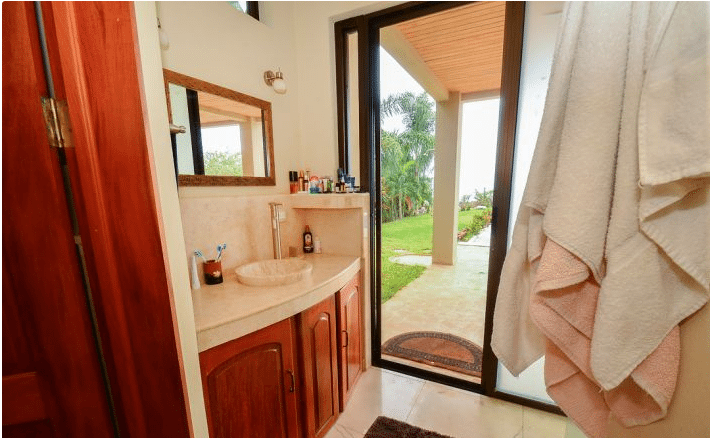 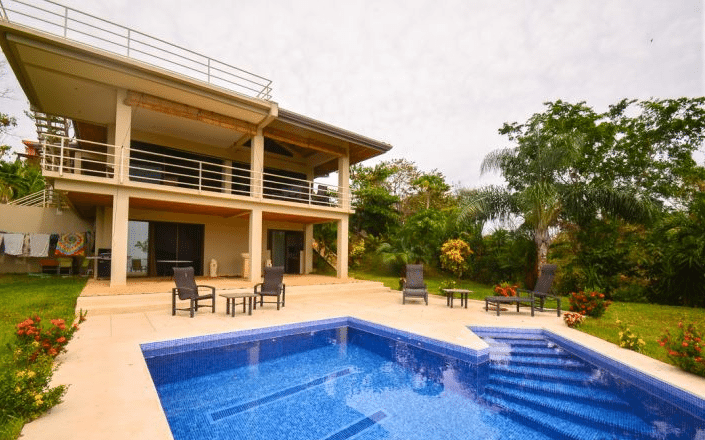 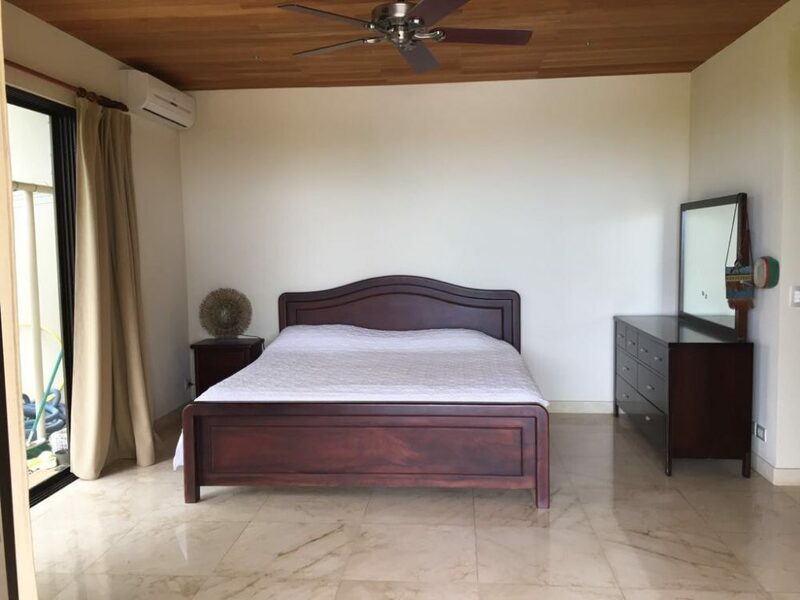 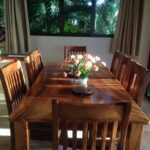 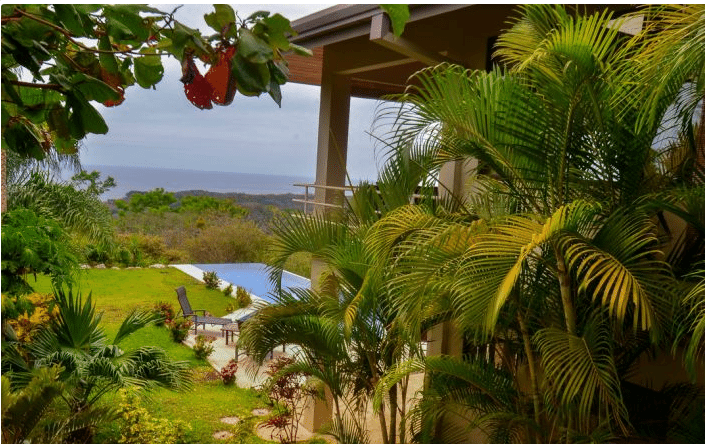 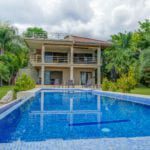 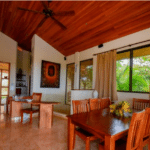 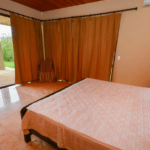 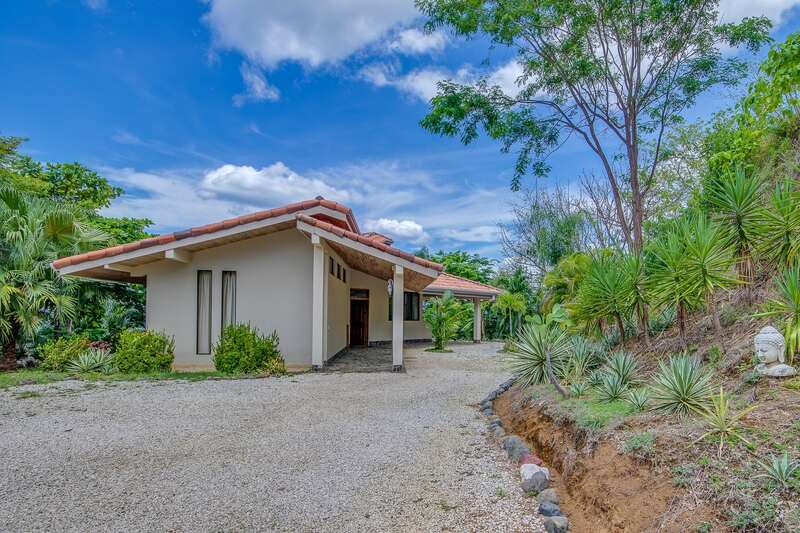 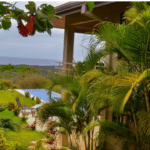 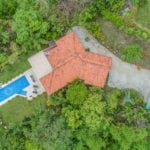 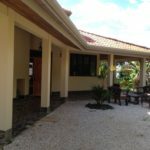 The home is located in the foothills bordering the exclusive Finca Los Sueños community which is comprised of 30 hectares of a private nature reserve. 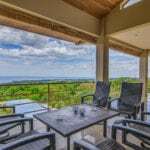 The area surrounding this home is nothing short of stunning and the views will fascinate you any time of the day or night. 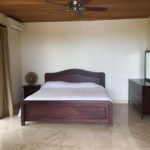 Several world class beaches and towns full of good food and entertainment are just a short drive away. 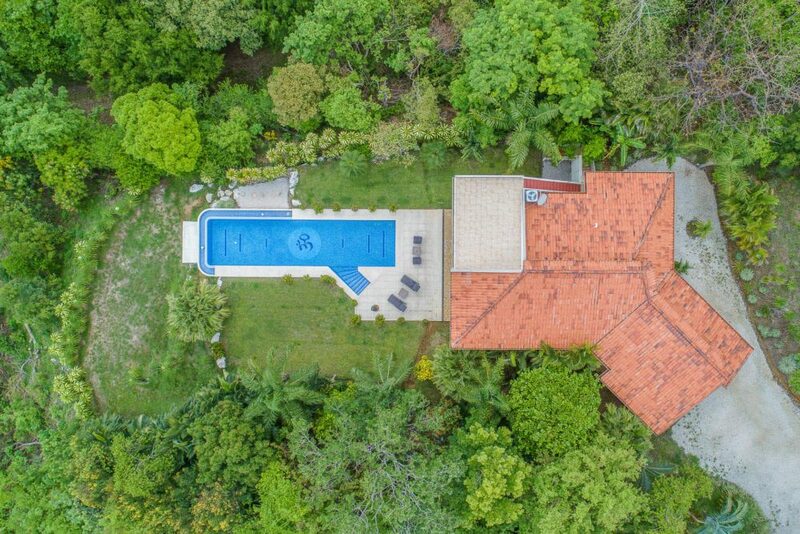 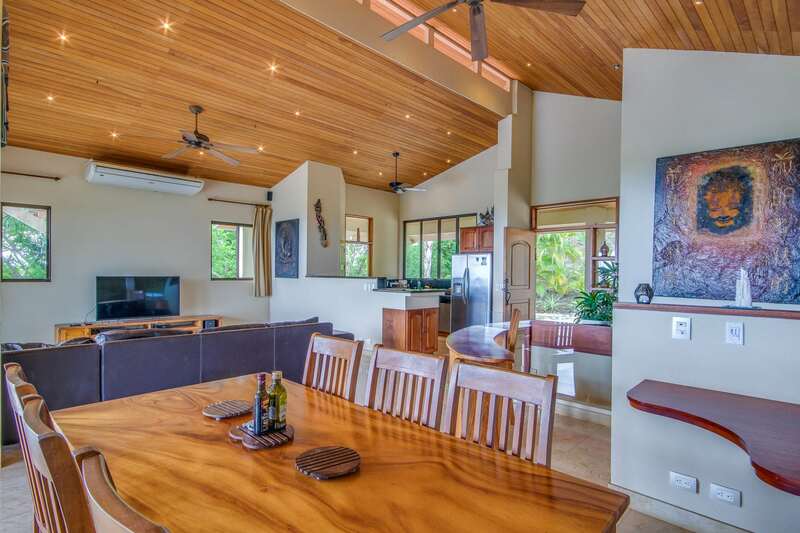 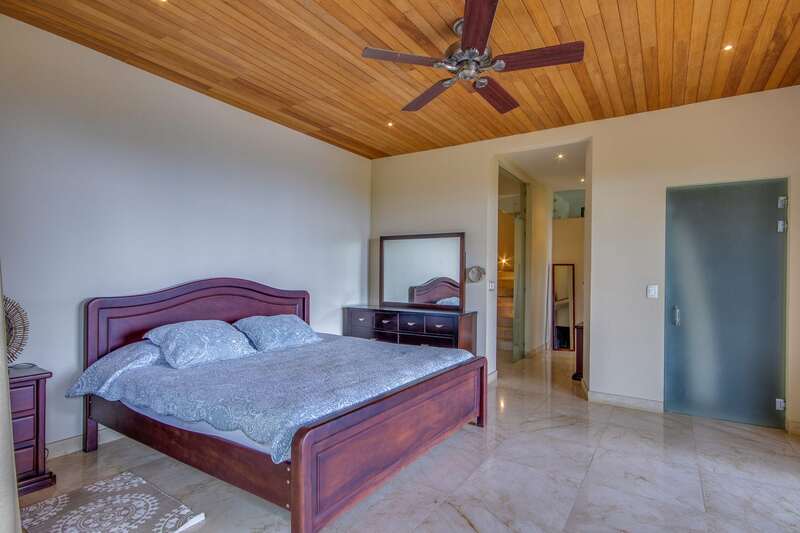 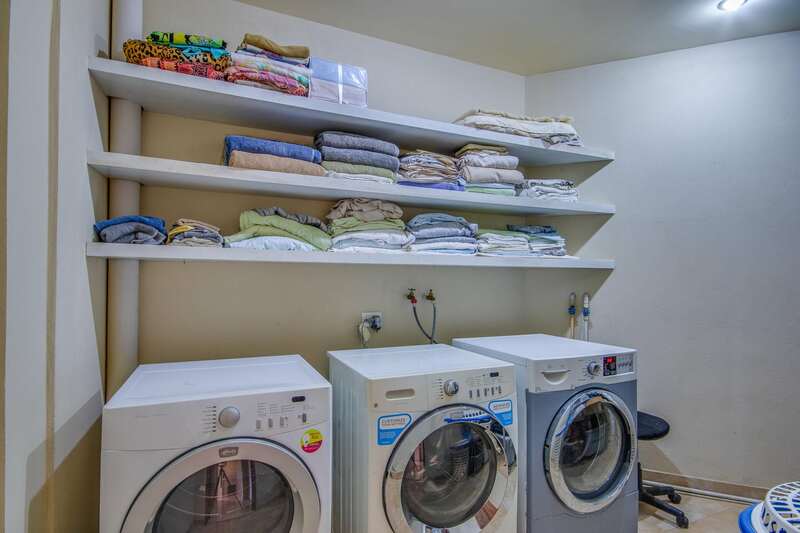 The top floor of this home features a spacious kitchen with built-in storage, an expansive living and dining area, a full guest bedroom with bathroom, a half bathroom and a very large balcony that overlooks the incredible lap pool. 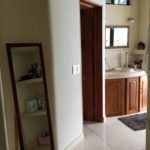 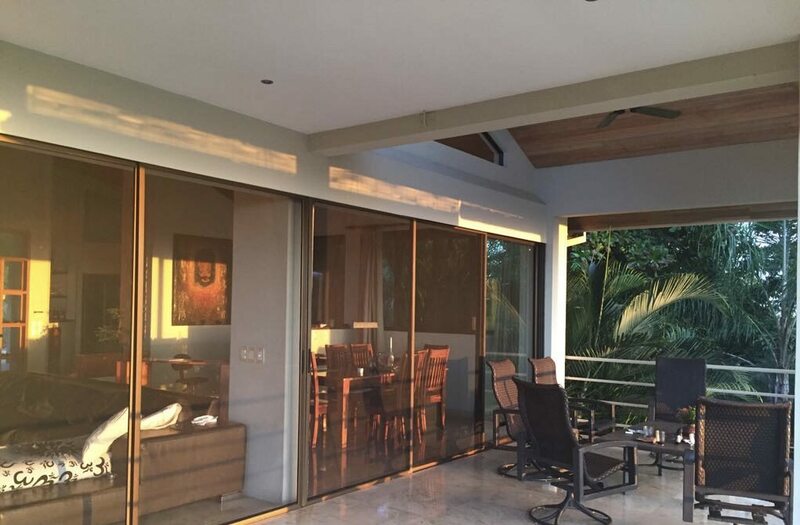 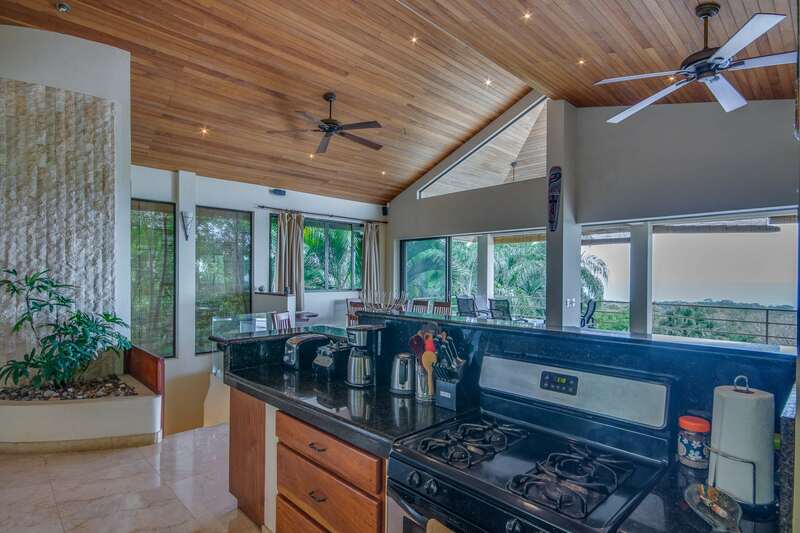 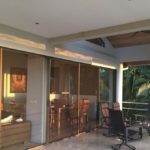 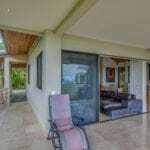 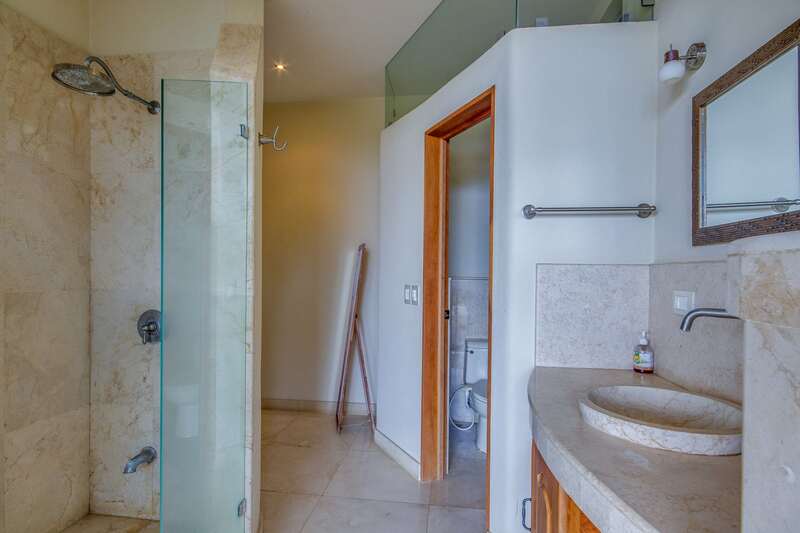 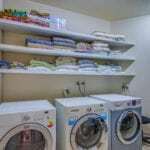 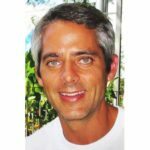 This floor has plenty of sliding glass windows and doors for ocean and mountain breezes as well as beautiful marble and granite floor and countertop finishes. 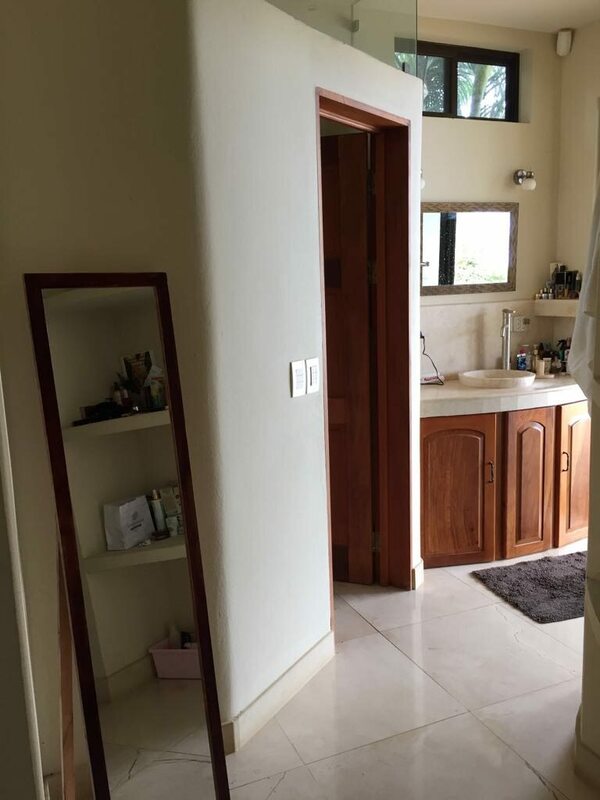 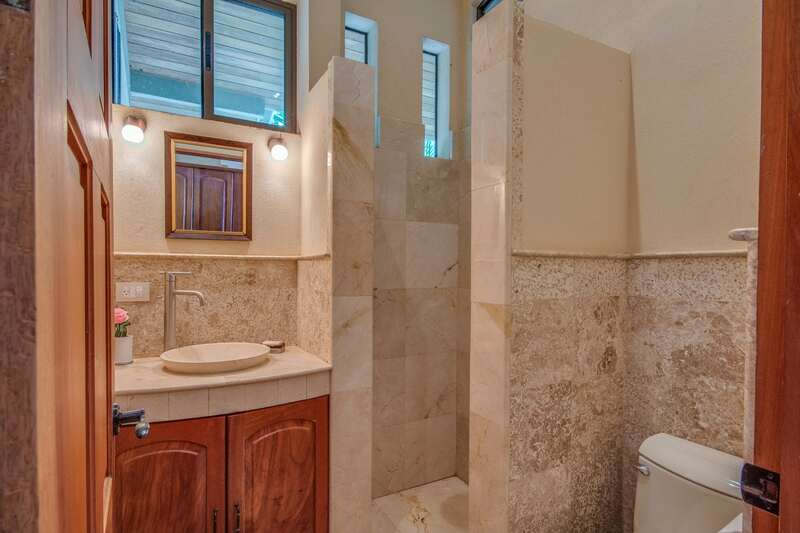 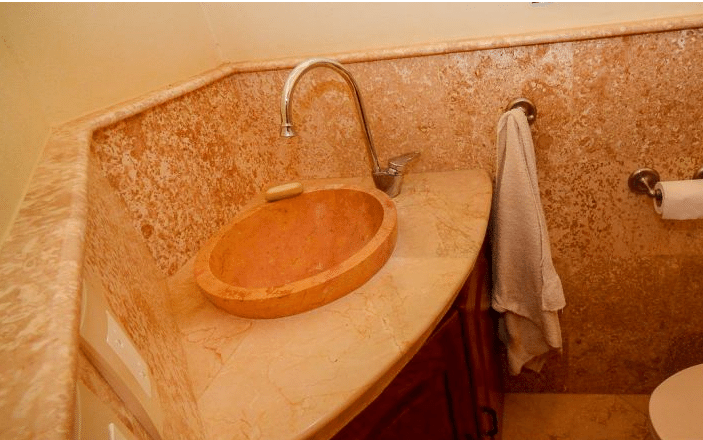 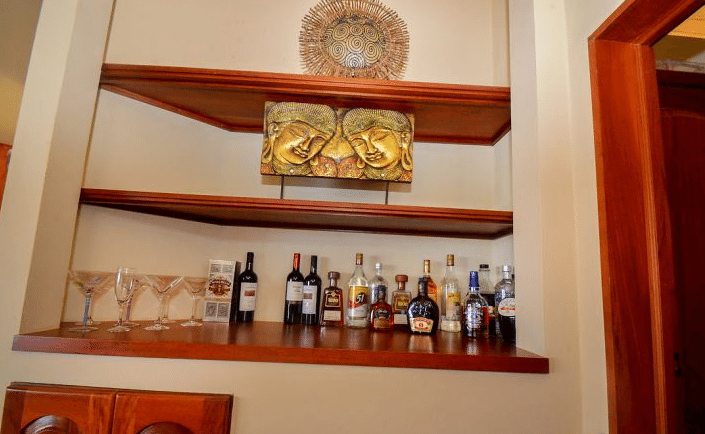 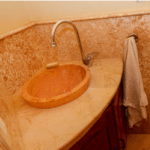 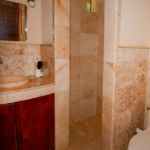 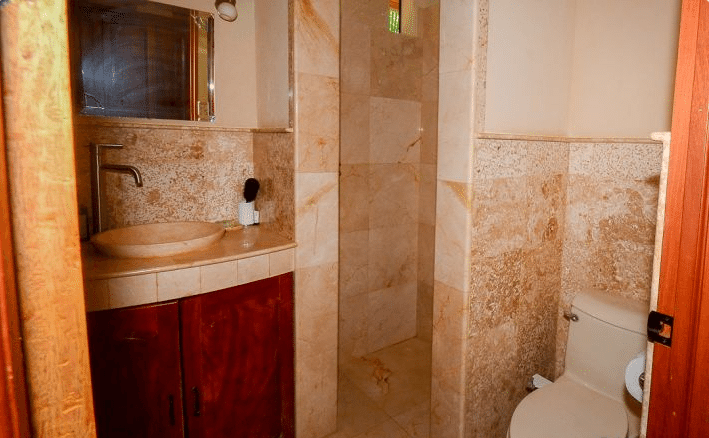 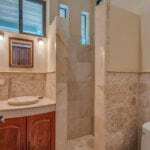 Throughout both floors, you will find beautiful and detailed tile work, custom wood casework and plenty of accent lighting for a touch of class to compliment the homes classy decor.